Today, the announcement was made by Cunard Line that it had ordered a fourth ocean liner, for delivery in 2022. The 3,000-berth vessel will be based on Holland America Line’s Koningsdam platform. Elsewhere, Saga Cruises announced last week that it had ordered a second 999-berth ship, to be named Spirit of Adventure, from Meyer Werft in Papenburg. And finally, Crystal Cruises is calling time after two successful Northwest Passage transits and has made it known that the next such crossing would be made by its newbuilding, the Crystal Endeavour, in 2019 or 2020. Cunard Line’s parent company Carnival Corp & plc has signed a memorandum of agreement with Fincantieri of Italy to build the line’s fourth ship, which could take the name Queen Anne or possibly Queen Charlotte according to some observers. The 113,000-ton ship will carry close to 3,000 passengers and become the first new vessel for the line since the 2,101-berth Queen Elizabeth entered service in 2010. Her design emanates from Holland America Line’s Koningsdam. Possibly the idea of a fourth Cunard ship was what was behind Cunard Line’s 2019 program, which will feature the line’s first Alaska voyage in more than two decades, a full world cruise and various Grand Voyages. 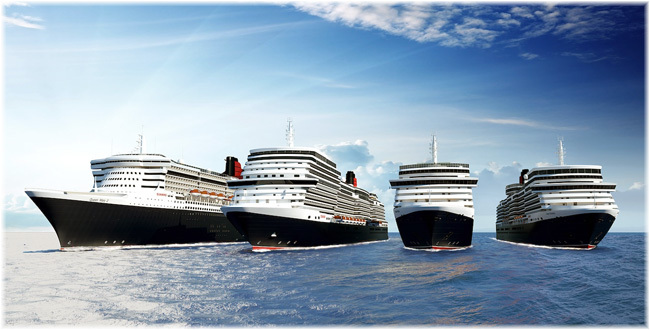 The Queen Elizabeth will offer a new series of round-trips from international ports. In between will be exotic Grand Voyages such as a maiden 27-night sailing from Yokohama to Vancouver that will mark Cunard’s first return to Alaska since 1997, when the 800-berth Cunard Dynasty operated a May to September season from Vancouver. This ship will offer several maiden calls. Including Boracay in the Philippines, Busselton, Kangaroo Island, Hobart, Burnie and Port Arthur in Australia and Hakodate, Akita, Kanazawa, Sakaiminato, Yatsushiro, Aomori and Muroran in Japan. In Alaska she will call at Sitka, Kodiak, Seward, Juneau, Skagway, Icy Strait Point and Ketchikan, as well as Vancouver and Victoria in Canada. The Queen Elizabeth will overnight in Amsterdam, Cape Town, Hobart and Wellington. Following a period of dedicated Japan cruises, the ship will cross the North Pacific to Vancouver. This voyage will take in northern Japan, as well as the Russian district of Sakhalin on the way to Alaska and British Columbia. She will then head south to offer a Panama Canal transit in July 2019, at a time of the year when not many other ships are there. The Panama Canal sailing is part of the line’s 36-night San Francisco to Southampton Grand Voyage, departing July 3. The Panama Canal voyage can also be taken as part of a shorter 18-night segment from San Francisco to Fort Lauderdale. The new 2019 program will also feature the line’s first Northern Lights voyage, a 12-night return itinerary on Queen Elizabeth, departing Southampton on October 8, with calls in Alesund, Tromso, Narvik and Stavanger. With the Queen Elizabeth introducing so many new itineraries in 2019, Mediterranean departures will be reduced substantially. Meanwhile, on the World and Grand Cruise side, the 2,090-berth Queen Victoria will offer a full global circumnavigation, while the 2,750-berth Queen Mary 2 and the Queen Elizabeth will undertake voyages that offer more regionally focused itineraries than before. The Queen Victoria will operate Cunard’s only true world voyage in 2019, a westbound cruise via the Panama Canal. The journey will depart from Southampton, cross the Atlantic to Florida, sail the Caribbean and transit Panama. The ship will then sail the Pacific via Hawaii and Samoa to New Zealand. From there, Queen Victoria will call at Sydney, the Gold Coast and Great Barrier Reef before sailing to Hong Kong via Darwin and Vietnam. The Queen Victoria will then return to Southampton via Singapore, the Indian Ocean and South Africa. She will offer overnight stays at San Francisco, Sydney, Hong Kong and Cape Town. 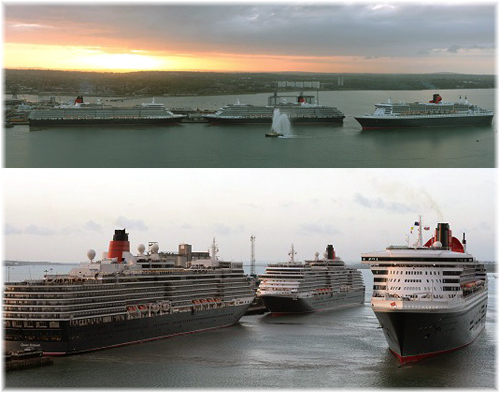 Queen Mary 2’s deployment consists of Grand Voyages by Cunard and Regions of the World by Cunard in the Mediterranean, Arabian Gulf, Indian Ocean and Far East. These voyages, from one to three weeks, can be combined in different ways as well. The ocean liner journey begins in New York with a Transatlantic crossing to Southampton and continues to the Gulf via the Mediterranean and Suez. From there, Queen Mary 2 will cross the Indian Ocean and enter Asia via the Malacca Straits. Following this, the ship will travel via Malaysia and Hong Kong toward China, sailing as far as Beijing before turning homeward. The return voyage will call at ports in Korea, Vietnam and India as destinations in the Indian Ocean and Mediterranean, ending with a crossing from Southampton to New York. Queen Mary 2 passengers can experience a new 14-night sailing departing from Southampton on July 14 for Oceland, Newfoundland and Nova Scotia, with calls in Liverpool, Reykjavik, Corner Brook and Halifax, as well as New York. 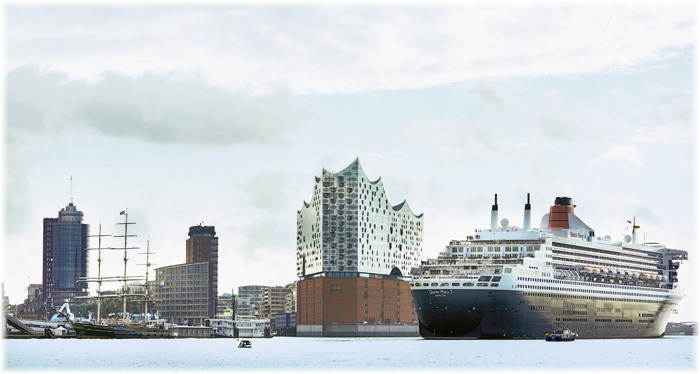 There will also be more Hamburg and Kiel calls to accommodate the German market, which has always been important to Cunard Line, and will also prove important towards helping to fill a fourth Cunarder. Saga Cruises has confirmed plans to build a second new cruise ship. Spirit of Adventure is expected to be delivered in Summer 2020, joining the Spirit of Discovery which enters service in July 2019. Both ships are being built by the Meyer Werft shipyard in Papenburg. The twin 58,250-ton vessels will have dimensions of 774 by 102 feet. The Spirit of Adventure will be a sister ship to Spirit of Discovery, carrying no more than 999 passengers, with balconies for all cabins and retaining the intimacy and personal touches Saga is renowned for. 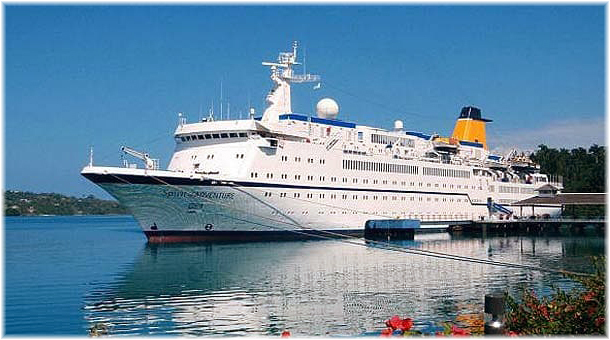 Rather than the theme that had been started by ships named Saga Rose, Saga Ruby and Saga Sapphire, it is interesting to see that Saga is picking up on the theme of the earlier and Spirit of Adventure and Quest for Adventure (now Saga Pearl II), names that they used in the past for a couple of ex-German ships. With the completion of Crystal Serenity’s second transit of the fabled Northwest Passage this summer, Crystal Cruises plans to take next year off, and return with a new but smaller vessel in 2019 or 2020. The 1,090-berth Crystal Serenity last summer made the 32-day voyage through the Northwest Passage from Seward to New York City, the largest cruise ship ever to take that route. She returned to repeat the passage again this summer. Now, the company says its first mega-yacht will be its next ship to sail the Northwest Passage. Being built now as a Polar Class vessel, Crystal Endeavor will have a berth capacity of just 200. The line’s 2016 Northwest Passage voyage sold out so quickly that it decided to make a second in 2017. The Crystal Serenity crossed the Arctic with fares of between $20,000 and about $120,000. Fares on the Crystal Endeavor will be similar or higher. In 2016, the company’s Northwest Passage cruise was full and this year it was booked to about 90%. The big advantage if using a smalller ship is that it will be easier to get into restricted areas and will therefore allow for more flexibility in designing itineraries.